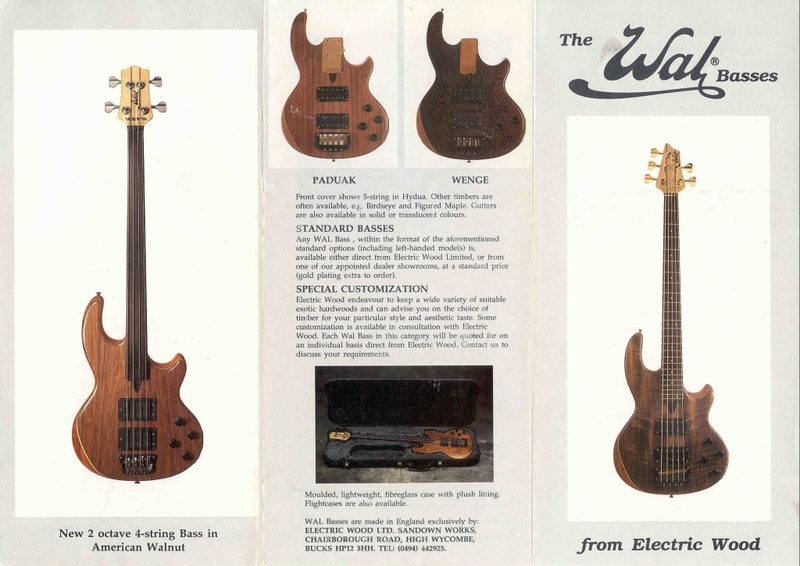 This page features my Wal fretless bass, serial number W3863. I ordered this instrument in January of 1994 from the now defunct Bass Center, in Ventura California. The instrument required 7 months to complete and the attention to detail in the design, construction and craftsmanship shows throughout. A work of art in wood! 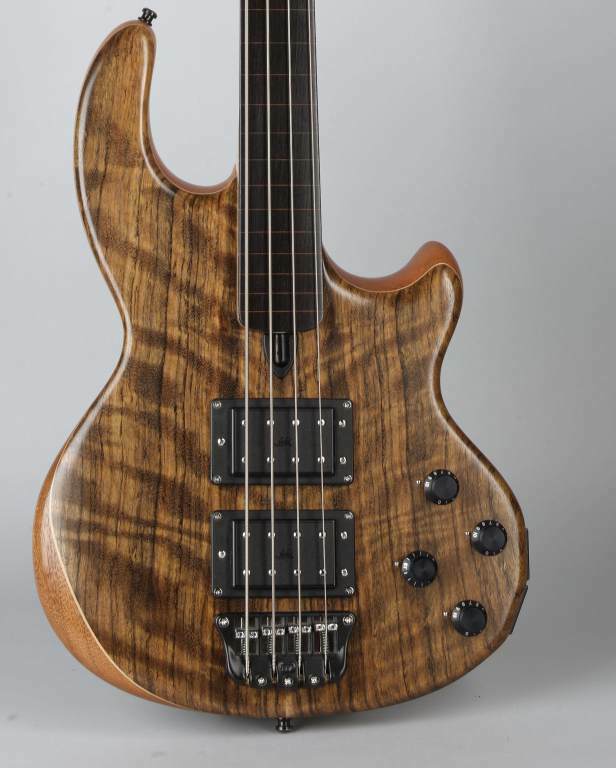 Wal basses are hand made, beautifully constructed and individually unique instruments and the example presented here is no exception. The body is constructed of solid Mahogany with book-matched Hydua facings. 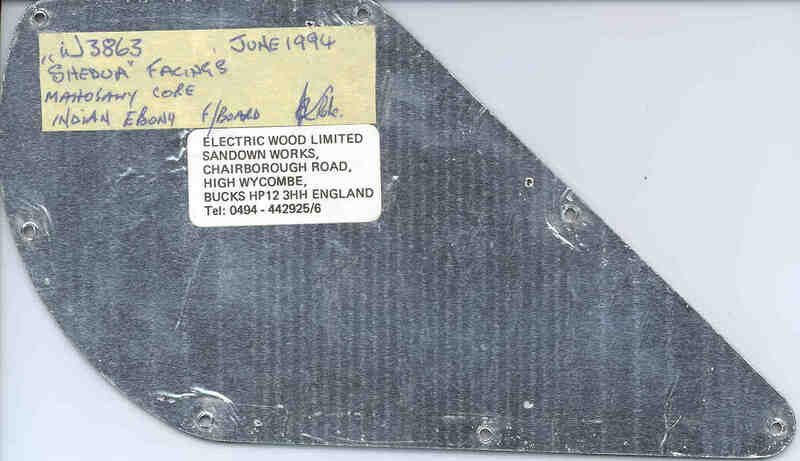 The finger board is Indian Ebony and with inlaid Maple semitone markers. 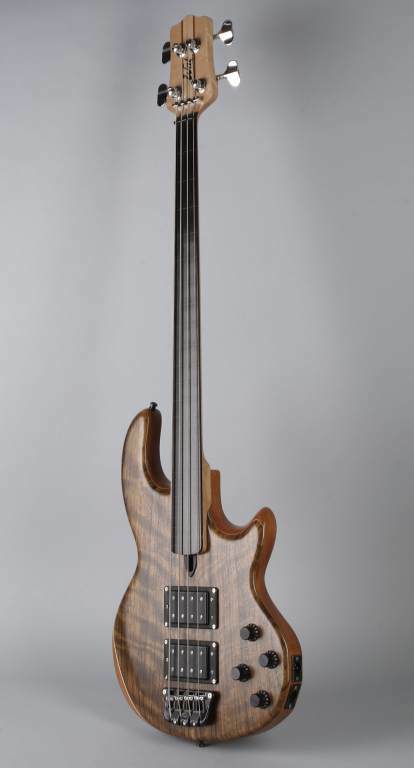 The six-piece laminated neck made of Rock Maple, Hornbeam and Amazonian Hardwood with a 34" scale is standard for this instrument. 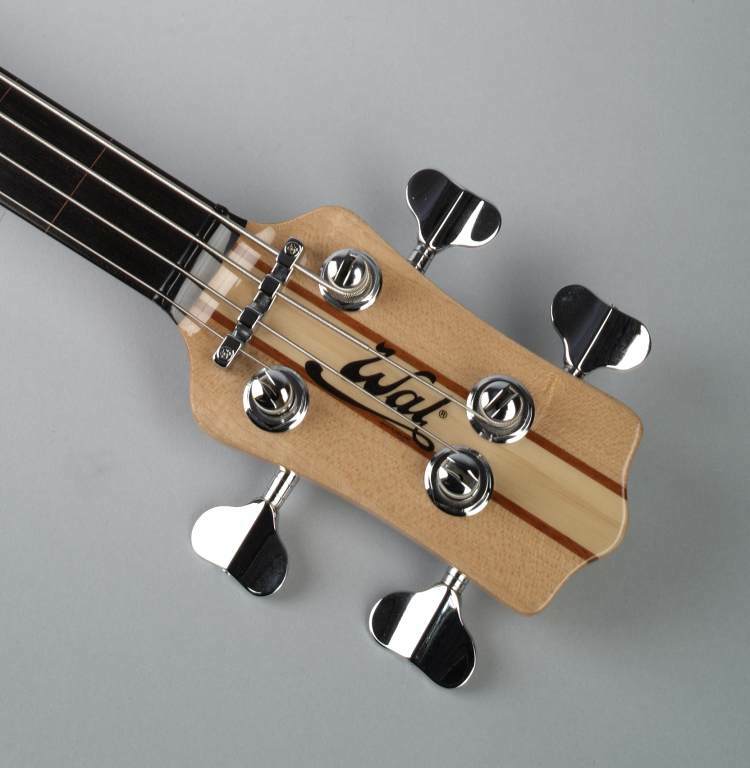 Another unique feature of the Wal bass is the integrated XLR balanced output, which facilitates direct connection to a console or other balanced input. If only the balanced output is used, a plug must be inserted into the 1/4" output in order to activate the electronics. 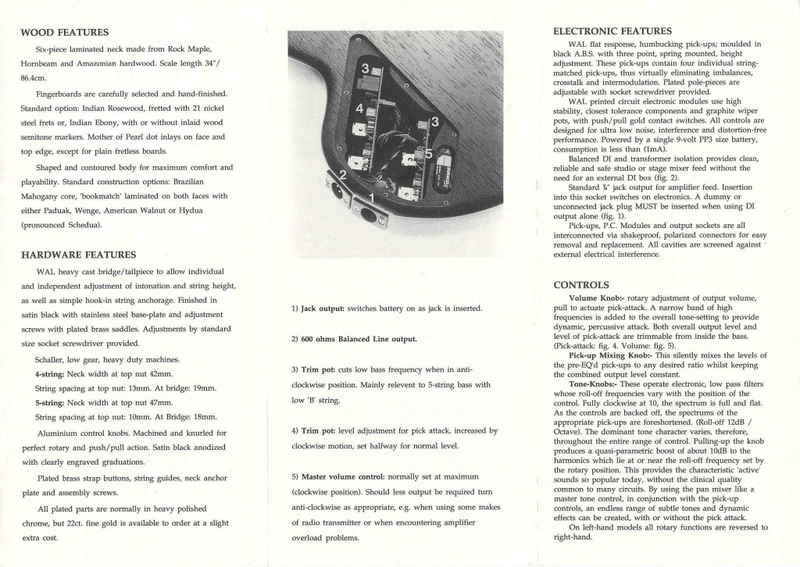 See the original 1994 brochure for a more detailed description of the electronics, including the parametric EQ tone controls and other available options. 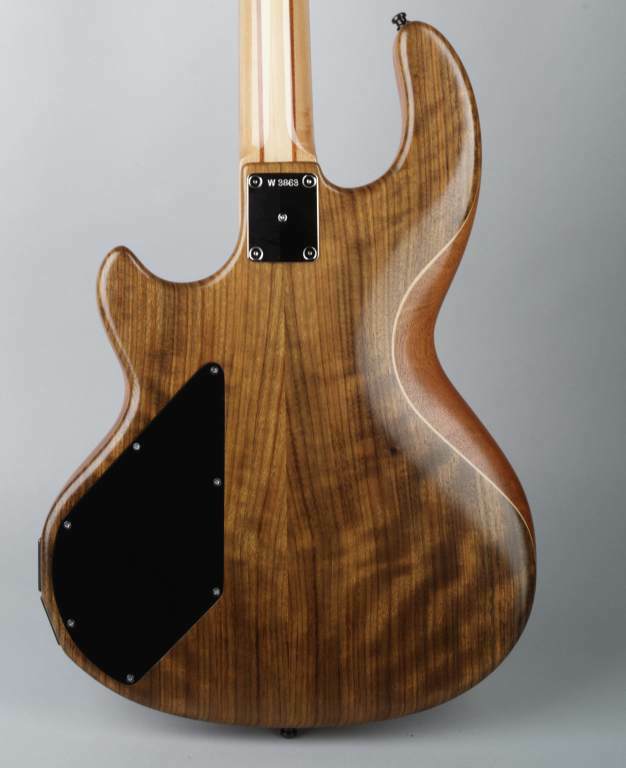 After a long absence, Wal Basses is back in operation and taking new orders under the stewardship of luthier Paul Herman, who previously worked with the original founders Ian Waller and Pete Stevens. Check out their new website for more information. Special note: the bassist who inspired my love for the Wal bass, Mick Karn, passed away on 4 January, 2011 after a battle with cancer. cancer. More information is available on the official website. This page created on: 9/23/2009 15:35:57 - updated: 3/23/2015 22:21:20. This site has hosted 353,845 unique sessions since 10/21/2001.